Lush Décor is a growing name in home décor because it offers new and innovative designs that are on trend yet still unique. Whether you are looking for home textiles to decorate your bedroom, living room, kitchen, bathroom, home office, kids’ rooms, den or any other indoor or outdoor space, Lush Décor designs it all. From neutral solids to colorful boho designs and everything in between, you can find the look you want in the Lush Décor brand of products. 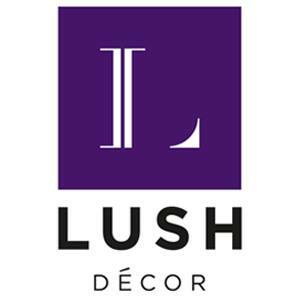 Lush Décor is a brand of Triangle Home Fashions, which was founded by Jenny Zhu Cohen in 2008 with the goal of allowing customers to purchase high quality home textiles that are both fashionable and inexpensive. Based out of Dayton, New Jersey, all Lush Décor patterns and styles are created by a team of in-house designers.